Little Math makes teaching easy and learning mathematics so enjoyable for your baby - create your own lessons, customize your playback settings and quantity icons, create and edit sound files, or organize your child's learning library! 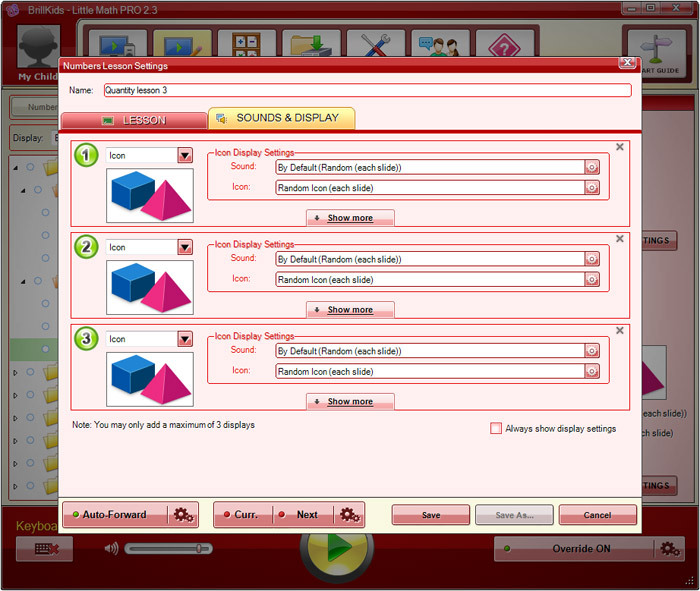 The premade early learning math curriculum is ready for playback as soon as you've downloaded and imported the lessons into your Little Math. All you need to do is choose the semester and day you are in, then press PLAY! Using Little Math with more than one child? Set up separate profiles for each child and Little Math will automatically keep track of each child's lesson playback progress for you! Little Math lets you backup your whole lesson library (in case you need to reformat your computer) so you know your data will always be safe. 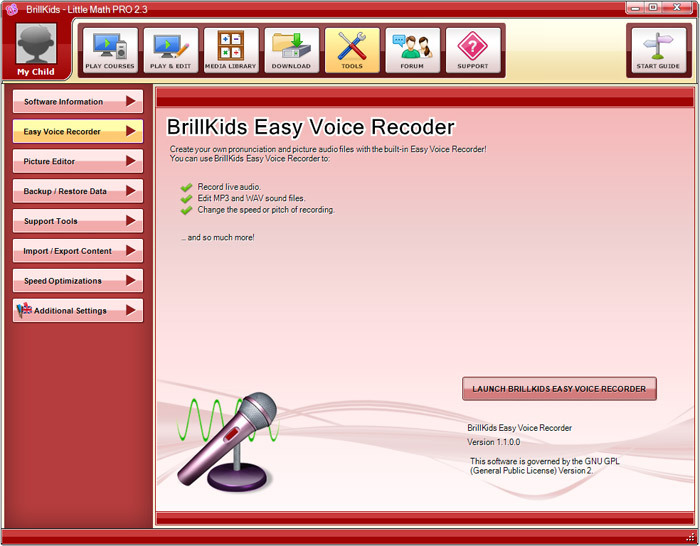 If you experience any problem while using Little Math, whether the sound isn't heard completely or if you need further technical assistance, help will always be a few clicks away! 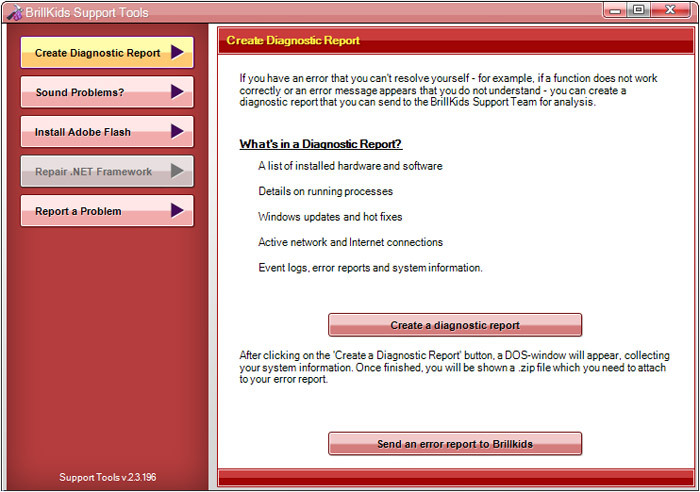 Just launch the Support Tools window to apply some initial fixes or to send your message and diagnostic report to the BrillKids Team. Is your child bored of seeing the same red dots all the time? 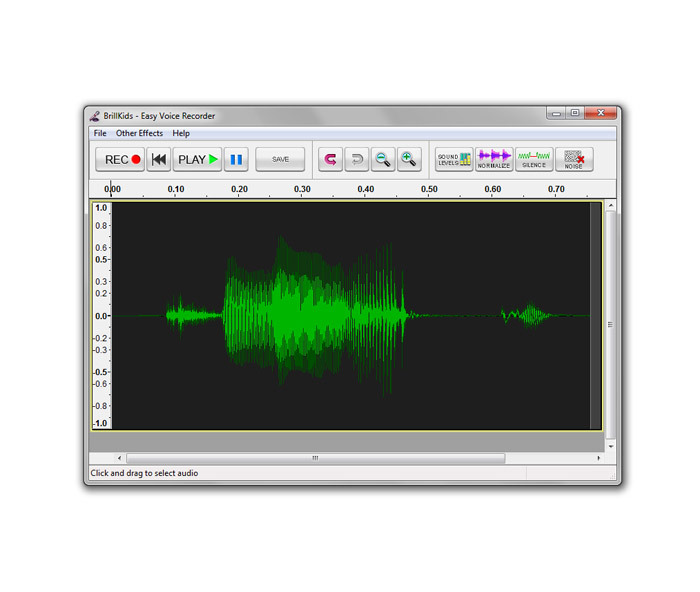 Change the icons used in the lesson to a more interesting image, or even swap the default pronunciations with your own recordings to make the lessons even more exciting! 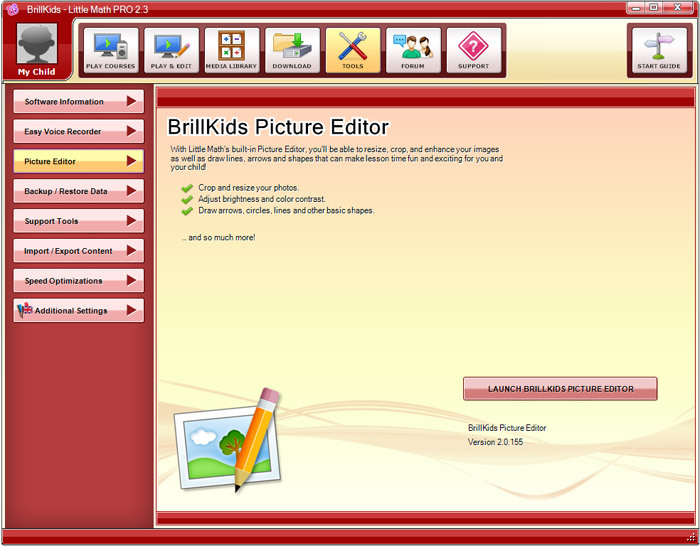 You can also make the slides flash more quickly, or choose to navigate the lesson manually using your mouse or keyboard. 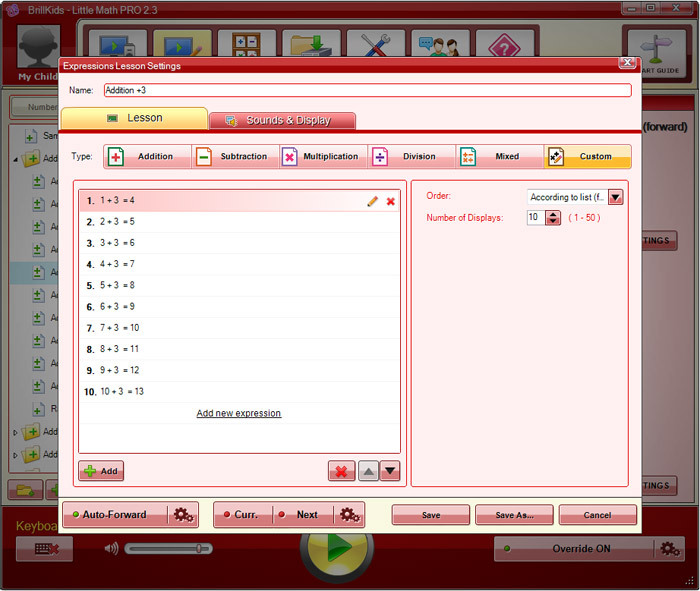 Flexible options let you change the number range for your lessons, or even set a specific set of numbers or equations for each lesson. Once you feel your child is ready for new lessons, you can personally create new ones in an easy and stress-free way! 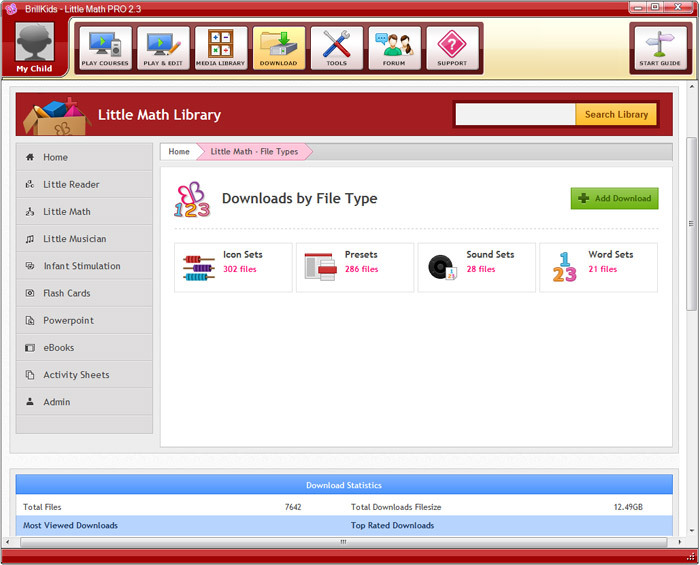 Expand your child's learning library by downloading additional premade lessons and media sets from our online community and importing them into your Little Math! 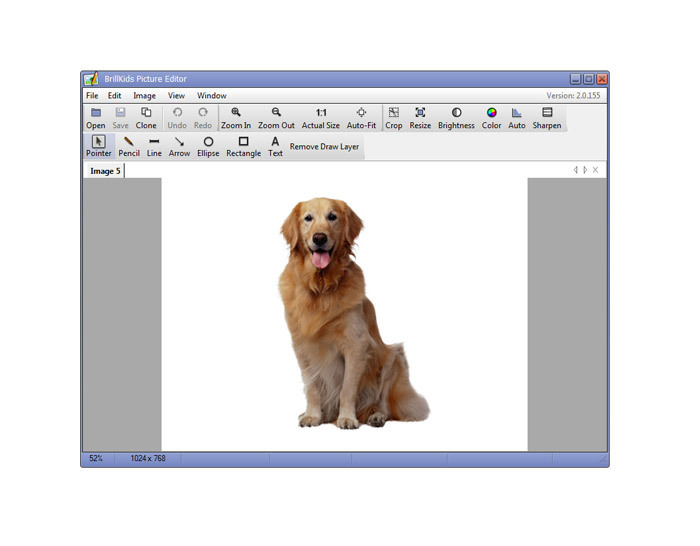 With Little Math's built-in Picture Editor, you'll be able to resize, crop, and enhance any image you'd like to use as icons for the lessons, to make lesson time fun and exciting for you and your child! With the Export function, you can save your personally-made lessons and media sets and then share them with other parents and families who have Little Math! What makes Little Math special?